It is hard to truly understand just how difficult it can be for a victim and his or her family following an accident or illness that results in a traumatic brain injury. The victim may have trouble with gross and fine motor skills, struggle with memory loss, battle the inability to form new memories, and could suffer from one or more of the various types of dementia. While there are various treatments that can prevent a patient’s death and may help with some of the effects of the brain injury, there is no way to fully cure traumatic brain injury (TBI) damage in many cases at this time. For this reason, doctors and researchers are hard at work on finding new treatments and hoping that one day they will find a cure.There is no question that there is still a long way to go, but it is promising when we hear of new treatments being developed from time to time, such as the one involving the use of powerful electromagnets that was discussed in a recent Huffington Post tech article. 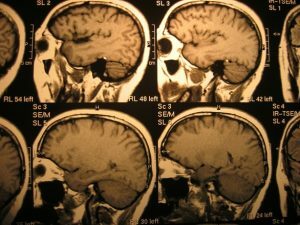 According to this article, researchers began by studying brain injury patients suffering from dementia using an MRI machine. While most people are aware of the MRI machine, it actually stands for magnetic resonance imaging and uses powerful electromagnets to obtain its imaging results. Once researchers had “mapped” the brains of study volunteers using an MRI machine, they then exposed certain areas of the patients’ brains to strong electromagnetic current to see how it affected memory, and, more specifically, memory loss areas. Many of these patients were suffering from dementia, which is related to what patients experience when they suffer from a traumatic brain injury. The results from this initial study showed promising results, and doctors feel that they were actually able to improve the ability of these patients to access old memories and store new memories. While there is definitely a lot more work that needs to be done, as our Boston personal injury lawyers can explain, the loss of memory and the inability to form new memories in one of the most difficult aspects of dealing with a TBI. It is also the reason that a patient will have to undergo so much rehabilitation and may never improve to the point where they no longer need 24-hour assistance. It is for this reason that the financial consequences of suffering a traumatic brain injury can be so high. It also for this reason that your experienced brain injury accident lawyer will make a high demand from the defendant or his or her insurance company, so that you have a better chance of obtaining a full and appropriate financial recovery. This was not the only study to attempt a new method to heal patients without the need for invasive and risky surgery. Another trial that was done last summer used mild electrical currents to stimulate the memory centers on sleeping patients who were suffering from similar issues.